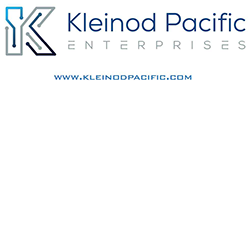 Kleinod Pacific is a wholly Australian owned company, trading globally in innovative products. We provide solutions for clients ranging from government and industry to private enthusiasts alike. Our company offers technology products and consulting services across a variety of specialist fields. We are sole distributors of equipment for first responders and tactical operations for police and military. For instance, we are the sole distributor for LIBERVIT Entry Tools and Endeavor Robotics in Australia. We offer equipment for specialist teams, such as tactical breaching equipment for Land & Maritime Operations, Communications, Robotic Solutions for CBRNE & EOD, Firearm Servicing & Tactical Accessories. We offer genuine service and products in the national security and emergency services realm. Our equipment has already proven itself internationally with great results. We are experts at sourcing innovation and solutions for your operational needs. Our team will work with you to ensure that you get the right solution in place that brings rewarding outcomes and success to your mission. Talk to us today about your requirements in robotics, tactical operator equipment, communication and consulting services.